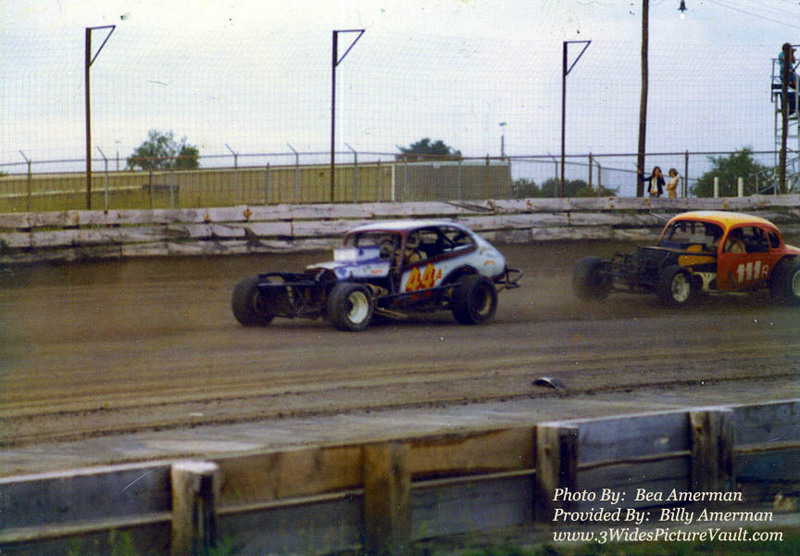 Comments: Comment from Billy: This is a photo of my dad 44A Dennis Amerman at Flemington Speedway around 1975.... we spent many a Saturday night there, sure do miss it! 10.11.09 Richard Pearson I knew Dennis when I was a kid. He was friends with my dad. I was about 10 and Dennis was the first race car driver I got to meet. I remember sitting with Dennis's Dad one night when Dennis flipped wildly down the back stretch at Flemington. Very scary moment for all of us. Hard to believe that was nearly 35 years ago. How is Dennis these days? Tell him Al P's son Rich says hi.